Based on proven rocket technology, CES oxy-fuel combustion systems produce clean, high-energy gases for use in industrial processes and the generation of electrical power. The incorporation of oxy-fuel combustion technology into conventional power generation systems makes zero-emissions power plants (ZEPPs) based on fossil fuels practical today. ZEPPs have multiple advantages, including compact and lower cost equipment, greater cycle efficiencies with advanced turbines, complete capture of the carbon dioxide (CO2) effluent, and zero emissions (or ultra-low emissions when operating in demand response applications). 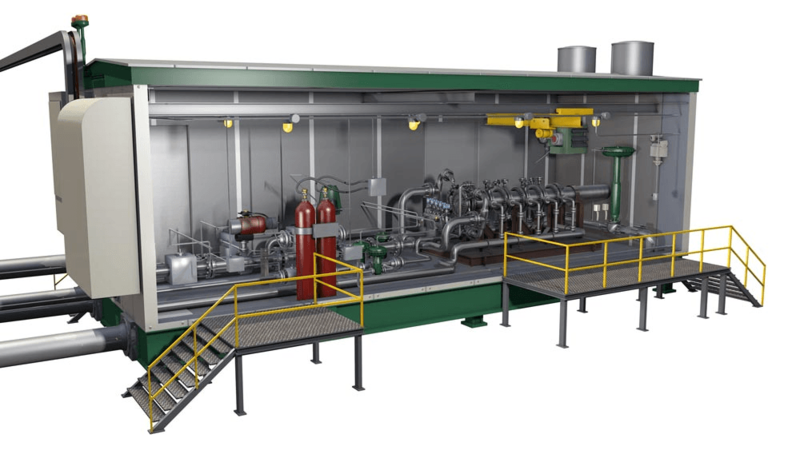 High pressure, high temperature (HPHT) steam gas generators, turbo-expanders, reheaters and heat exchangers utilizing proprietary rocket-engine combustion principles. Clean Energy Systems is proud to be an ISO 9001:2015 certified company.